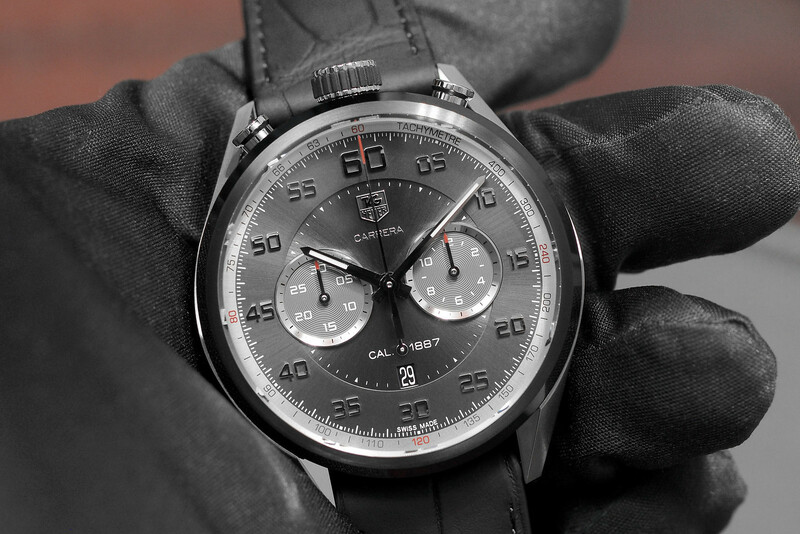 Quick Look: Carrera Calibre 1887 Automatic Chrono "Bullhead"
This is the TAG Heuer Carrera Calibre 1887 Automatic Chrono, which comes in a “Bullhead” configuration, meaning the pushers and crown are mounted on the top of the case instead of on the side. 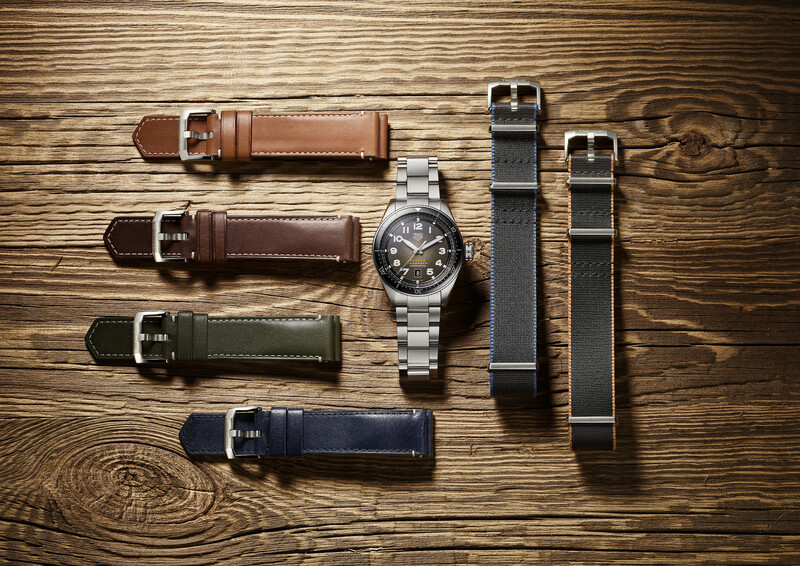 The 45 mm case is made of titanium and steel that has been polished, brushed and sandblasted. The bezel and case flanks have been treated with a black titanium carbide coating. The dial has a black sunray finish. Polished applied Arabic numerals. Hand-applied TAG Heuer logo at 12. 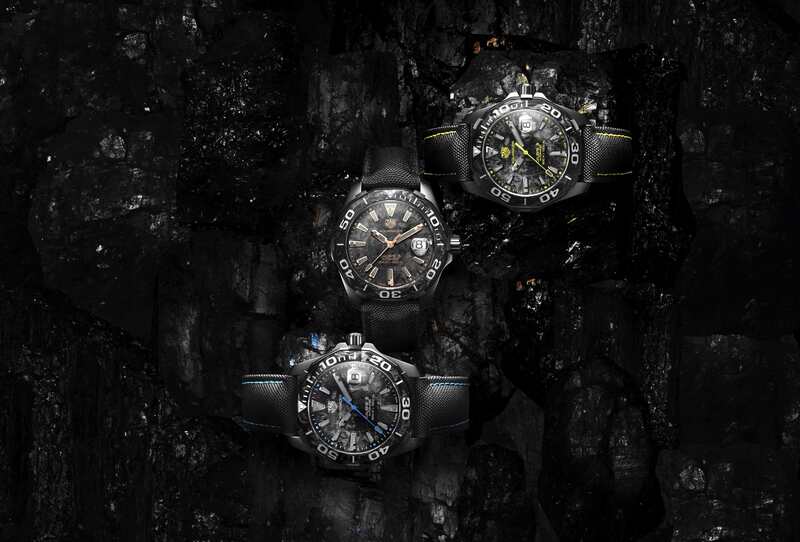 The hour and minute hands are polished and have a luminescent treatment. The chronograph second, hour and minute hands are red tipped. 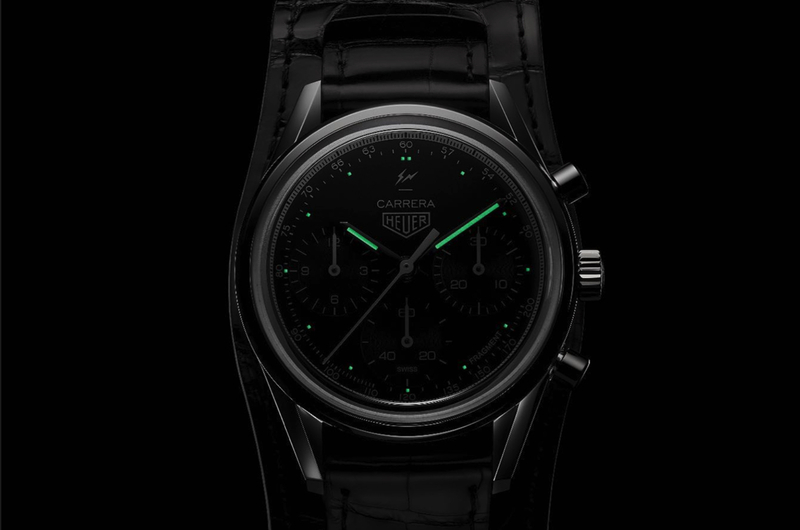 There are two recessed chronograph sub-dials that count to 30-minutes and 12-hours, respectively. The small seconds display, located directly above the date aperture at 6, has a sweeping hand but no sub-dial.